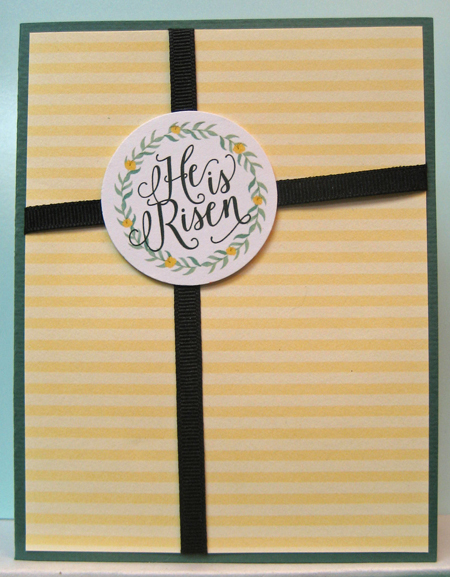 My first Easter card! I used a piece of packaging for my background - beautiful yellow and white stripes!! 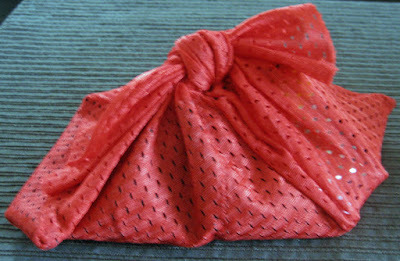 There is a joint below the ribbon vertically and I angled the black gros grain just a bit so it is still covered by the ribbon. I added a piece across horizontally to create a graphic cross on my background. I really like the effect!! I glued this background to a blue green card which coordinates with my greeting. 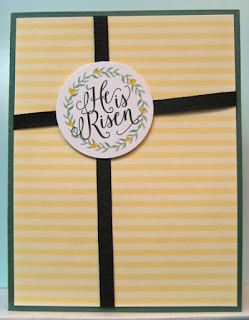 I really wanted to layer this round colour printed greeting but I could not find a layer colour that did not distract from the cross so I put it on without one using 3D foam tape to give it a bit of dimension. A simple card with a simple message!! Love it!